I read the first book in the series, Show Stopper, last year and I thoroughly enjoyed it and thought it was a great start to a new series. Show Stopper is book two in this series and I have to say that I think its even better than the first book and makes this series even more exciting. It was nice to jump back into Ben’s and Hoshiko’s story again, even though it wasn’t nice for them. The story is told from both the perspectives of Ben and Hoshiko which makes it even easier to connect with them both because you get to learn more about them and feel what they feel. Its not just the main characters that make this book though because I found that even characters such as Jack and Greta are wonderfully written and developed. The whole gang become your friends. I managed to read Show Stealer in just a couple of sittings, once I started reading I found it very difficult to put it down and before I knew it I had come to the end of the book, and the end of the series. I enjoyed every minute reading this book and I think it even surpasses Show Stopper, which I absolutely loved. Everything about Show Stealer made it such an engaging read that you will find yourself getting sucked into and become lost in this dangerous but intriguing world. Again the writing was such a pleasure to read The author has managed to make the world seem even more real than before and its not hard to visualise and feel the world because it seems so lifelike. Both Ben and Hoshiko felt like real people and I became attached to them and by the end it had felt like I had known them for a lifetime and they were friends. I could of read another 300 pages because I loved the writing that much. There are so many twist and turns that it kept me, and I am sure other readers on the edge of their seats and holding their breath. I didnt really know what to expect from this book but there were so many surprises that I was shocked for a couple of them. I don’t want to give anything away because no reader likes to be spoilt. But I will say that Show Stealer is a book that is unpredictable and unputdownable. 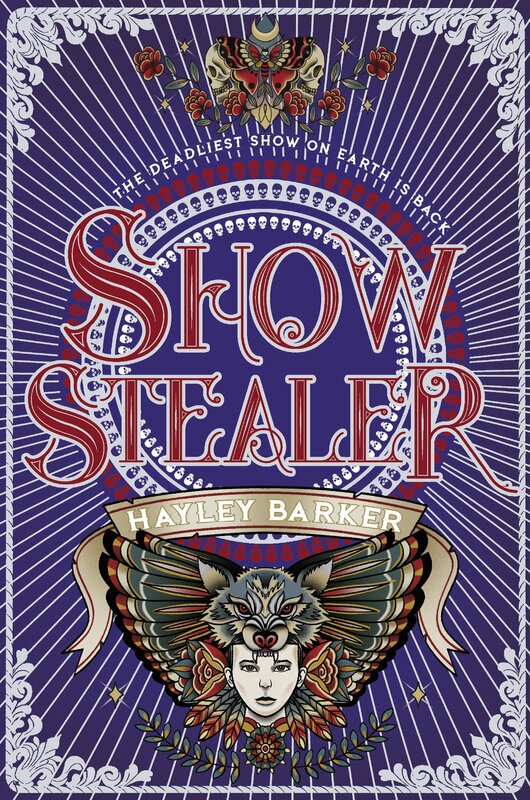 I would definitely recommend Show Stealer because its a brilliant sequel with an amazing story. If you have not read Show Stopper yet then I would suggest you buy both books because as soon as you finish the first book you will want to immediately start the second book straight away, and I can honestly say that you will not be disappointed.